Reinstated at last. 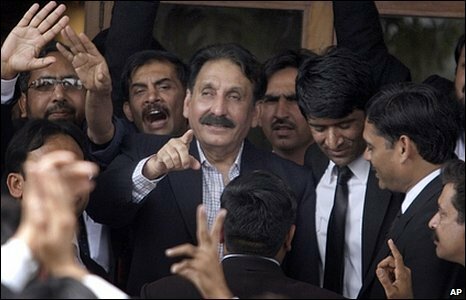 Pakistan's government agrees to restore sacked top judge Iftikhar Chaudhry (centre) after mass protests. 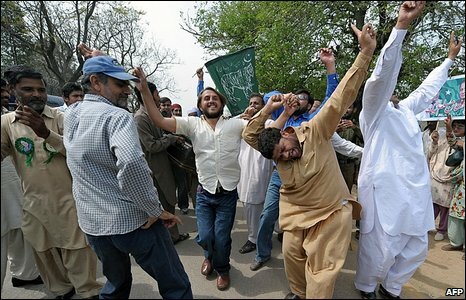 Another day of protest turned to celebration at news that Mr Chaudhry would resume his old job as Supreme Court chief justice later in March. 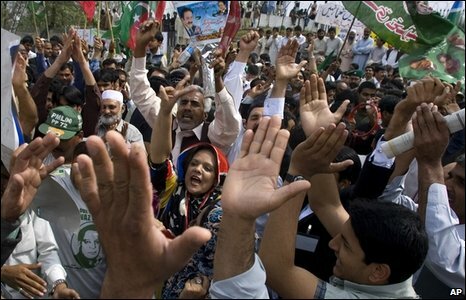 Jubilant supporters gathered outside Mr Chaudhry's home in Islamabad to celebrate the news. 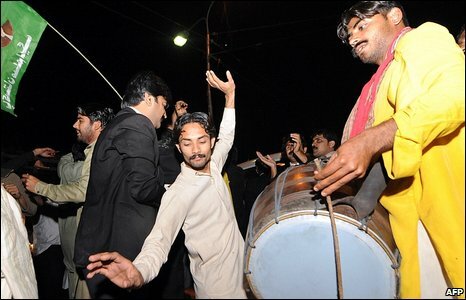 Pakistani lawyers, who had led the marches, joined opposition party workers to celebrate Mr Chaudhry's reinstatement. 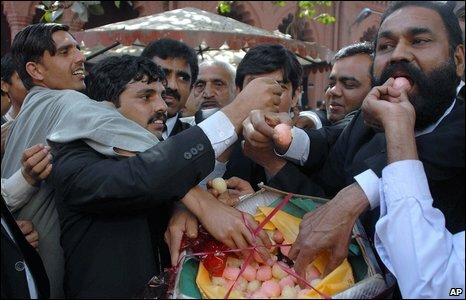 These lawyers in Lahore offered each other traditional sweets as part of the celebrations. 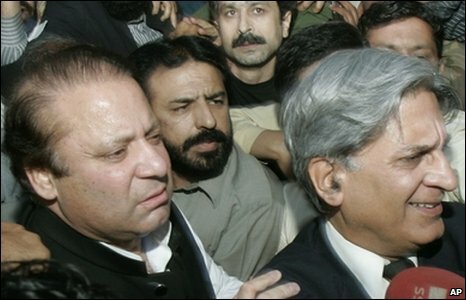 Main opposition leader Nawaz Sharif (left) said it was an "historic day", and called off a major rally in Islamabad. 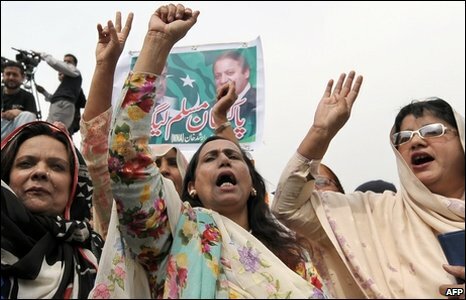 President Asif Ali Zardari had been accused of breaking a public promise to reappoint the chief justice dismissed by former President Musharraf.